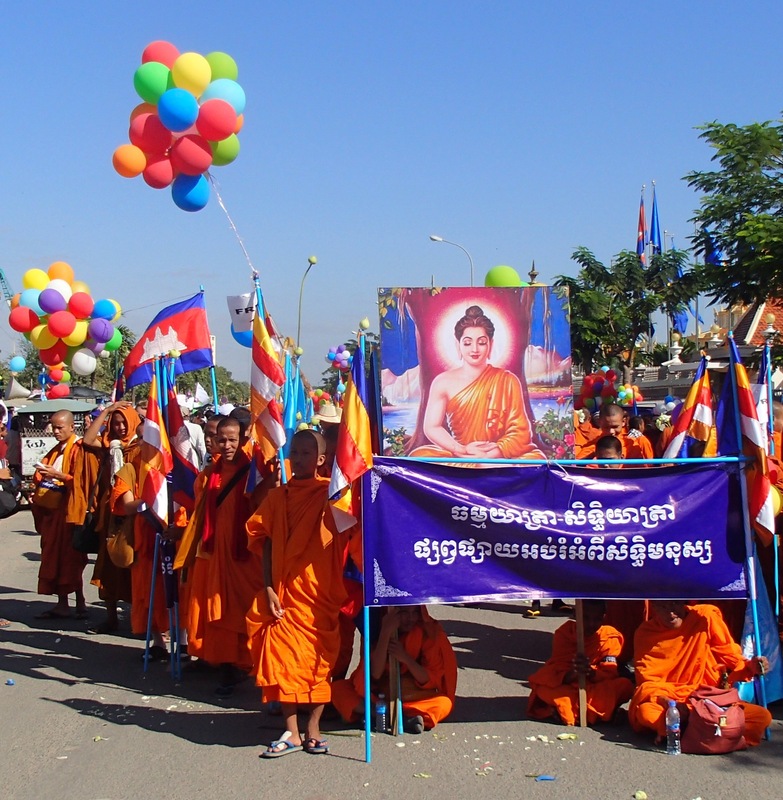 On December 10th, over 1,000 human rights activists (including Buddhist monks, land communities, students, farmers, union members, indigenous people) rallied in front of the National Assembly to celebrate International Human Rights Day. 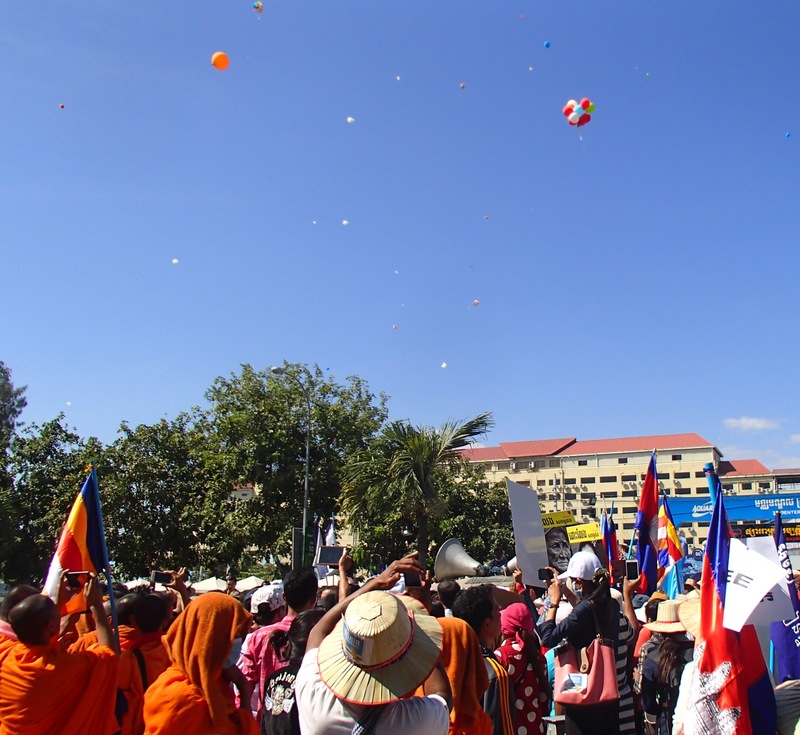 5 days ago, several groups of activists began marching towards Phnom Penh from NR 1, 2, 3, 4, 5 and 6. 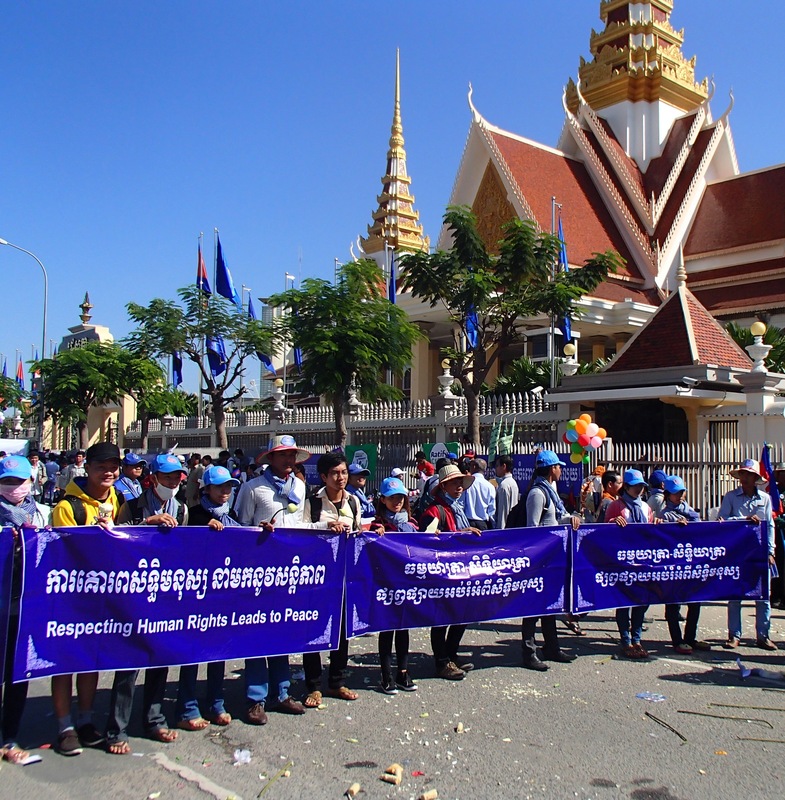 On the 9th of December, all the roads were blocked from entering Phnom Penh by the authorities. After hours of negotiations, the marchers were eventually allowed through. By 9:30am yesterday, all the groups had gathered in front of the National Assembly to deliver a petition to parliament. 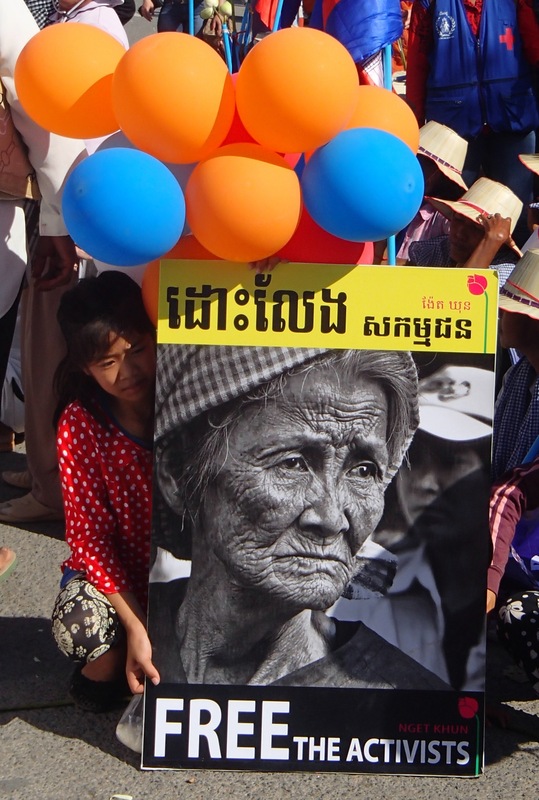 The petition called for the government to respect human rights; to immediately ensure the laws protecting the right to peaceful demonstration will be enforced properly by all levels of authority; to allow the courts to act independently; to stop using government police forces and violence against civil and human rights defenders; and to stop forced evictions. 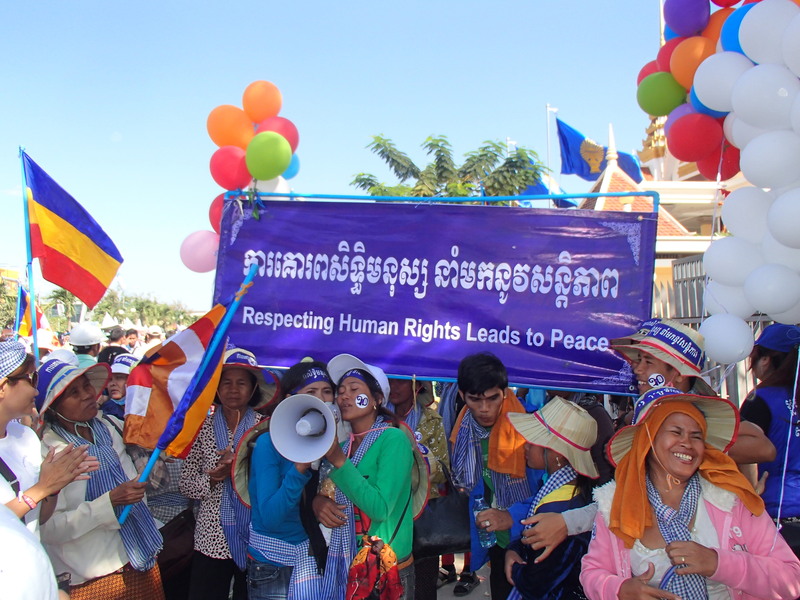 Demonstrators outside the National assembly carried banners saying “Respecting Human Rights Leads to Peace”. 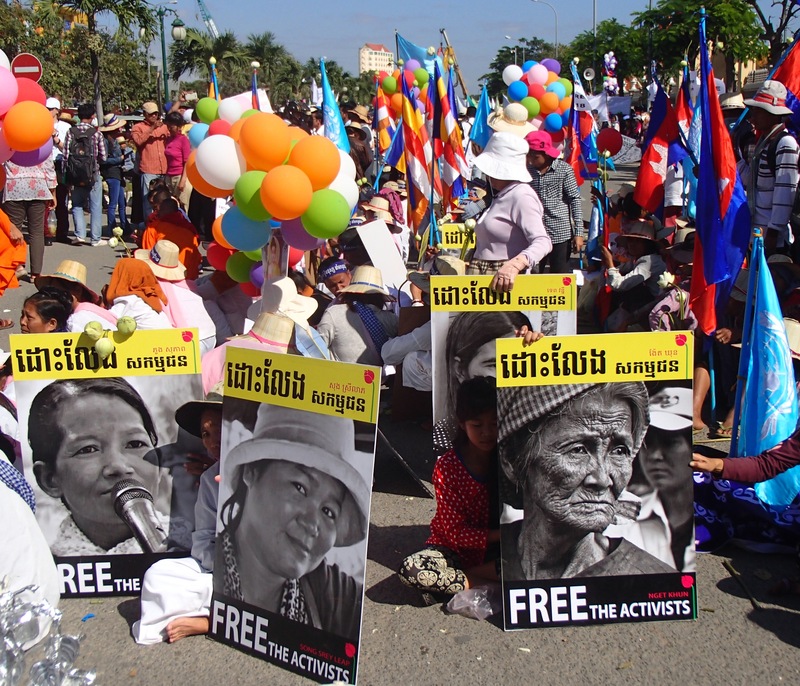 They also called for the unconditional release of the 18 activists that were recently arrested for protesting flooding in the Boeung Kak community. Many people held up posters with large pictures of the detained activists. Venerable Luon Sovath was there to show his support as well. Voice of Democracy (VOD) hosted a live radio show on the ground and had a number of guest speakers including event organizers, indigenous people, land activists, and union leaders. Around 3pm, after the march, they held a talk show with key organizers at the VOD studio. Ministers of Parliament (MPs) of CNRP and CPP accepted the petition and then made speeches promising to address the issues highlighted on the document. 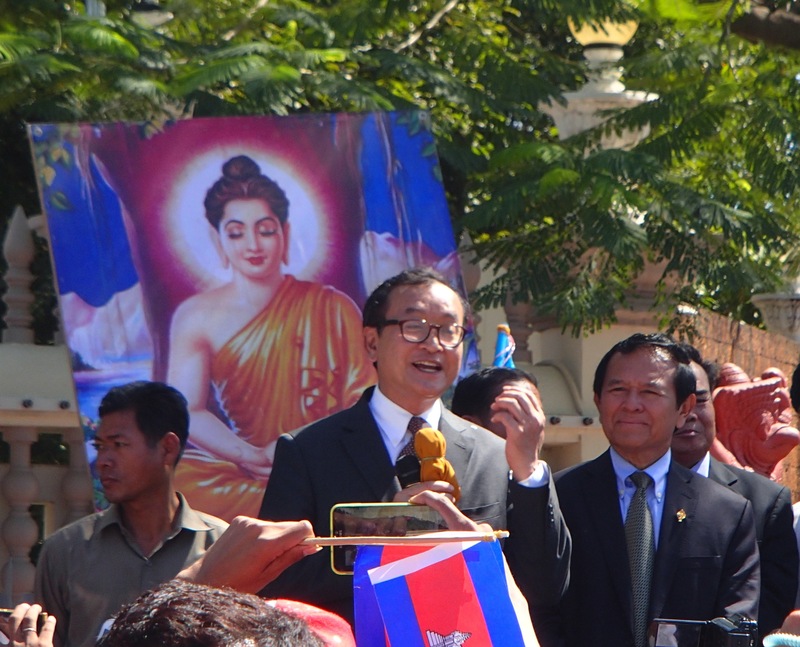 Members of both parties made speeches including Mua Sochua (CNRP), Lok Kheng (CPP), Kem Sokha (CNRP), and Sam Rainsy (CNRP).